When will be The Rundown with Robin Thede next episode air date? 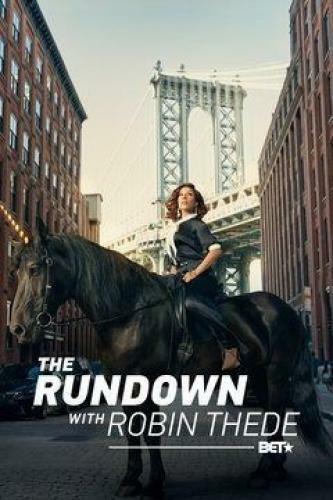 Is The Rundown with Robin Thede renewed or cancelled? Where to countdown The Rundown with Robin Thede air dates? 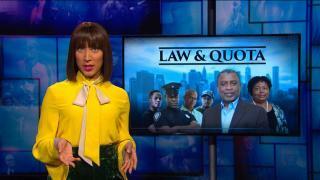 Is The Rundown with Robin Thede worth watching? In The Rundown with Robin Thede, comedian and former head writer and contributor for "The Nightly Show," Robin Thede, gives her hilariously unique take on the week's headlines in politics and pop culture in a fast-paced, no-holds-barred late night show featuring biting social commentary, sharp sketch comedy and in-your-face pop culture parody. R. Kelly has to be held responsible for his actions, Robin premieres her music video "Weak Black Women" and an Interview with Jussie Smollett. Michael Rappaport gets his invite to the cookout revoked when he comes for Kenya Moore, Trump's anger at Amazon is nonsensical, a deep dive into Black home ownership and a pop-up concert from LionBabe! Mark Zuckerberg is in the hot seat, Paul Ryan makes his exit, Cosby gets protested, a documentary piece about Black pain and Judge Mablean guests! The Rundown with Robin Thede next episode air date provides TVMaze for you. EpisoDate.com is your TV show guide to Countdown The Rundown with Robin Thede Episode Air Dates and to stay in touch with The Rundown with Robin Thede next episode Air Date and your others favorite TV Shows. Add the shows you like to a "Watchlist" and let the site take it from there.